With the development of society, more an more people joined fly fishing sports now. Fly fishing rod and fly fishing reel has an important roles in fly fishing. 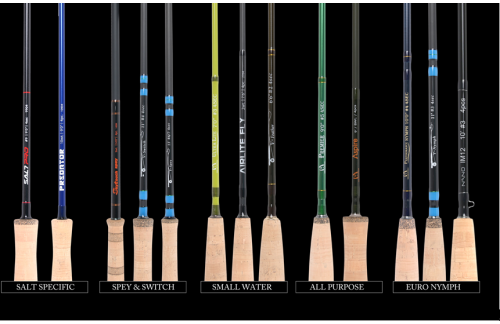 How to choose a fly fishing rod is tough for all the anglers. Let me introduce the fly fishing rod in Maxcatch. Maxcatch has five main parts fly fishing rod species. The first one is all purpose rod, for example:New Design in 2018 Aspire rod, usually used for trout, bass. Second one is Nymph rod, nymph rod is popular in European countries like Nano nymph rod. The last one is small water fly fishing rod,like Ultra lite rod, airlite rod. Fly fishing rod is tough to choose but one thing is easy to do,whatever fish you’re chasing,we appeal for releasing them after catching.